I have been thinking quite a bit recently about ideas of knotting and weaving. There will probably be another post on the theme soon. As a mathematician it brought me straight back to Knot theory, I love looking at the strange images that appear on the blackboards in the lectures and offices of topolgists, many of which contain knots. This video lecture from Elvis Zap is a classic example (even if you cannot follow, just sit back and enjoy the drawing!). 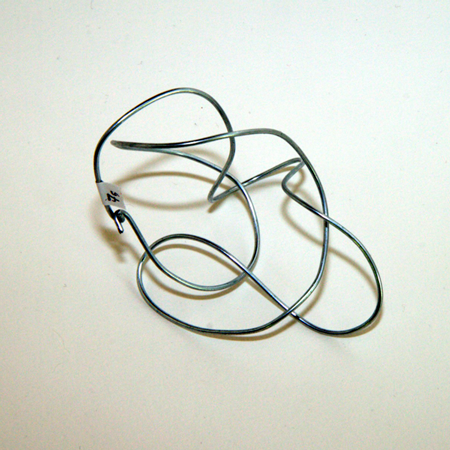 Not to forget the beautiful uses knotted designs have been put to outside of mathematics. 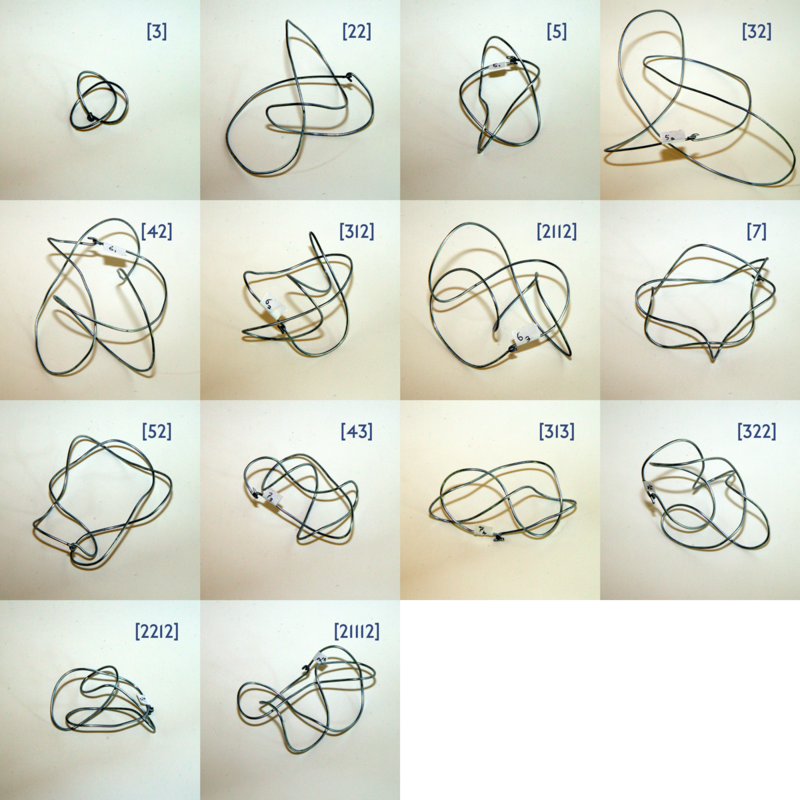 It was great fun making the knots and I encourage anyone who studies them, even idly, to have a go. I felt the knots themselves come alive in my head as I made them. I started to think how the knots could be put together out of sections of twists, further study of this lead me to tangles and Conway’s notation. You might notice that this came late as the written labels on the knots are the more commonly used Alexander–Briggs notation. That is a lot less satisfying as after the number of crossings the numbers to not refer to the properties of the knots. 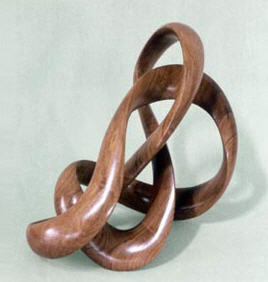 I love those knot sculptures! Now that you mention it I realise that knots are very 2d in my head. Probably because I would not be looking at them without the material touching each other,i.e. a string (perhaps my strongest image of a knot is the horrible knot on my shoe laces that is impossible to untangle). Thanks for bringing knots into a more interesting context!